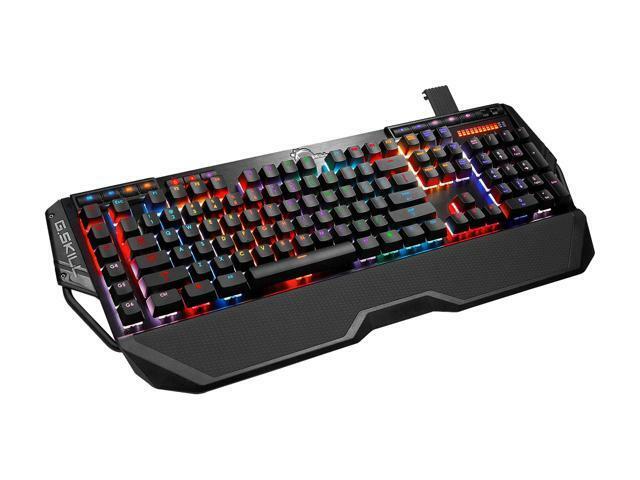 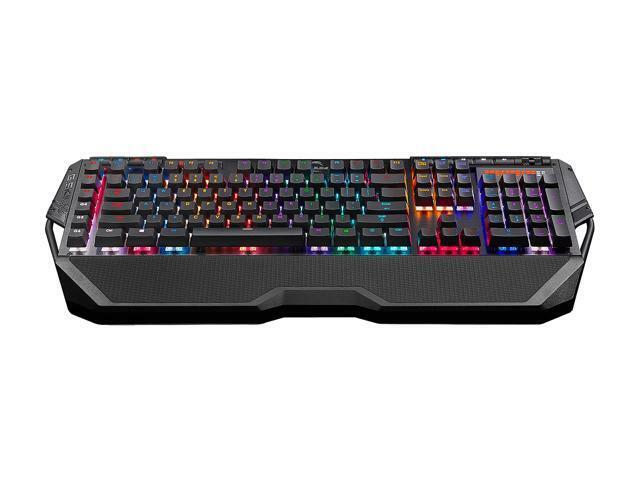 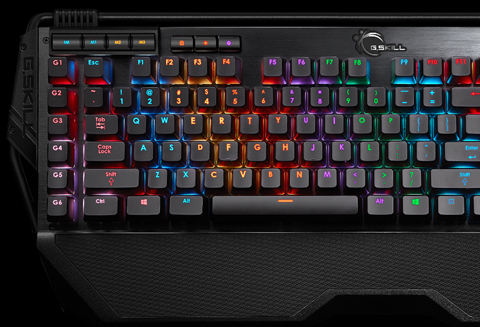 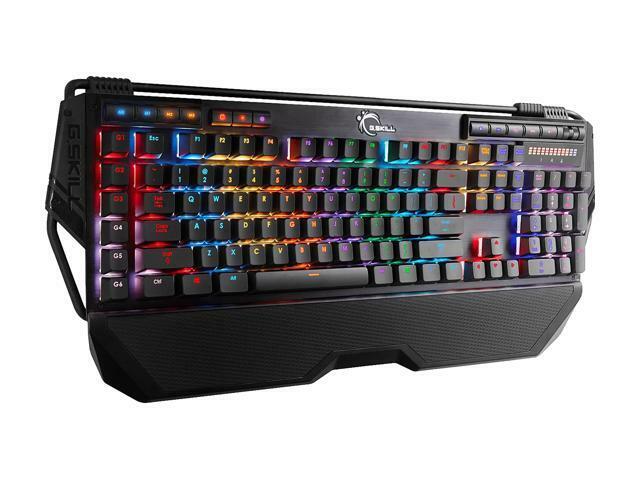 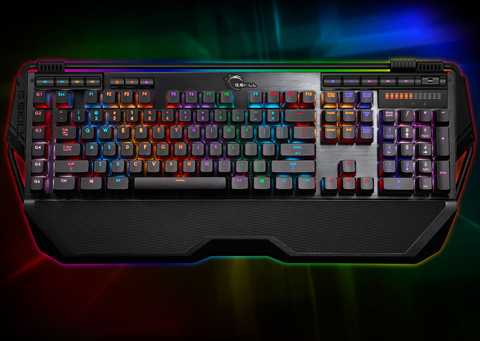 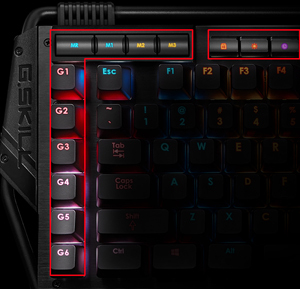 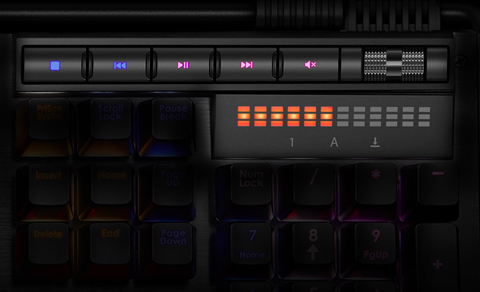 Designed from the ground up for hard-core gaming, the RIPJAWS KM780R RGB mechanical gaming keyboard has all the appealing elements gaming enthusiasts value the most - 100% Cherry MX mechanical key switch in RGB backlighting, per-key programmability, on-the-fly macro recording, full N-Key rollover, 100% anti-ghosting, six dedicated macro keys, full media control with LED volume display, etc. 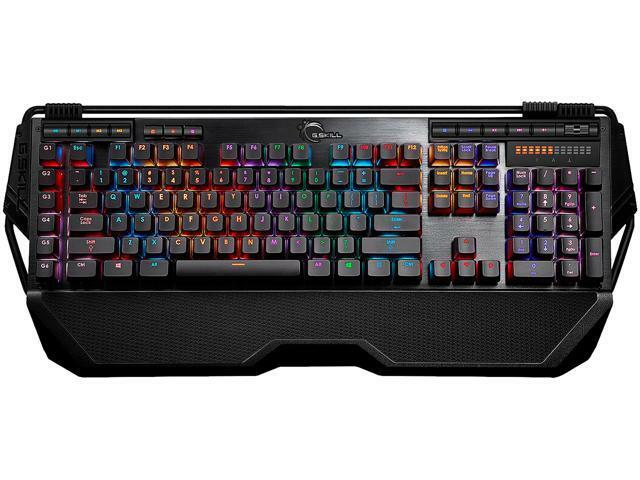 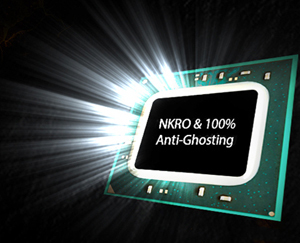 It will give gamers a distinct edge over enemies. 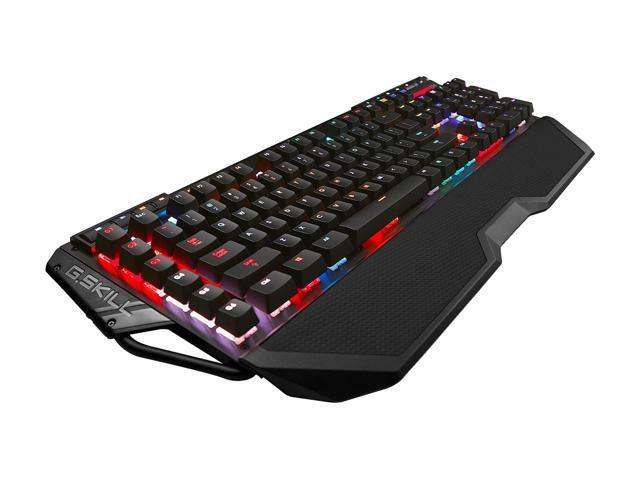 This gaming keyboard is built with durability and comfort in mind for the ultimate typing experience, and also offers extra convenience with features such as the foldable mouse cable holder and USB 2.0 hub. 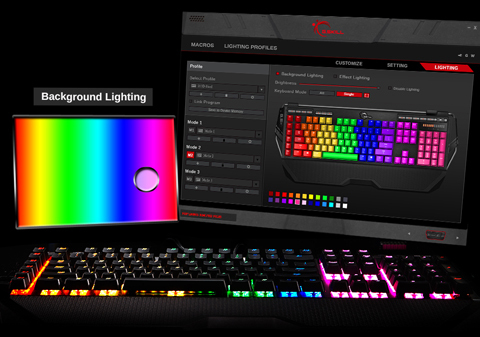 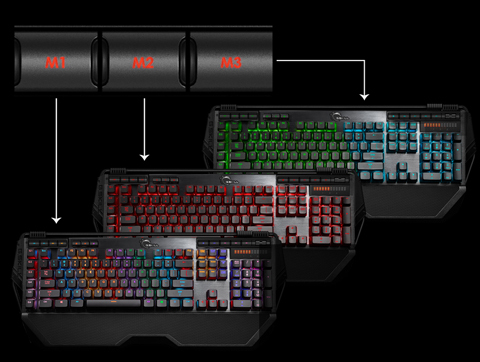 RIPJAWS KM780R RGB uses only genuine Cherry MX key switches with short 2mm actuation distance and durability of 50 million keystrokes for long lasting and quick gaming response. 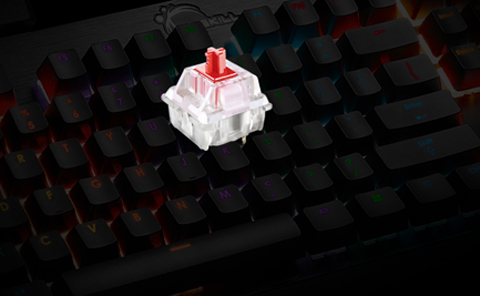 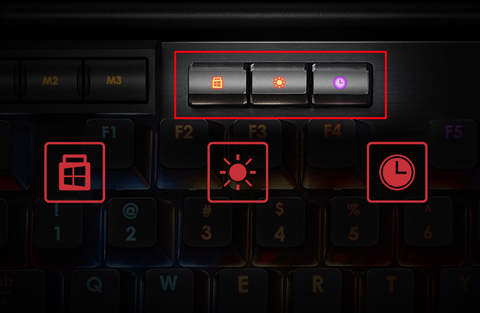 Cherry MX Red key switches require less force to actuate and deliver smooth and linear key response making them especially popular among gaming enthusiasts.